Below are some excerpts from our latest Newsletter, March 25, 2015. Please signup for our newsletter by scrolling to the bottom of this page (see the box Subscribe below) OR scroll to the bottom of any other page on this site (see Subscribe/Connect). Our spring sesshin begins this Friday. If there is anyone who hoped to come to this sesshin but didn’t apply because of financial constraint, please let us know asap. We have one last-minute full scholarship available. Although our regular Sunday morning event won’t happen this week, you are welcome to come to the sesshin teishos on Saturday and Sunday mornings at 10am. Our Thursday evening sit is happening this week as usual. Hope to see you there! Sometimes people talk about “traditional” versus “innovative” approaches to practice. I want to suggest that both these terms might be missing one point. The true fact, the fundamental reality of Zen is enshrined in the core of the Heart Sutra. Commonly translated as “form is emptiness, emptiness is form,” this line, according to one of our most brilliant, scholarly and profound masters in Sanbo Zen, is more accurately rendered as: “all phenomena are nothing at all; nothingness is all phenomena.” In other words, each and every phenomenon, everything we ever experience, is absolutely nothing at all; and this very absolute nothingness is precisely the totality of our experience and existence. This is the utterly radical teaching of the core of the Zen koan tradition. But even to put it into words like this is to run a grave risk – of turning it into an idea, perhaps even an inspiring idea, or else a shocking idea – but anyway to miss the point of practice, which is that it is arrived at only through the great “gateless gate” of actual experience – in the very heart of our life and consciousness. In this kind of a context, it’s easy to see how concepts like “traditional” or “innovative” are far beside the point. When it’s so utterly radical, who could give it any epithet? The real core of Zen teaching is a heart-stopping, life-overturning reality that it goes far beyond the tameness of either “innovative” or “traditional.” Is a mountain too traditional, or a river or fire too innovative? As the “Coke Zero” ad says: “You don’t know zero till you’ve tried it.” No zero, no Zen. Beyond all words, all judging, all thought, all understanding, all life and death. Any watering down of this, and the core of Zen, which is nothing less than the core of a human being and the core of existence, is not yet alive and authentic. The Dharma of Zen took about three to five hundred years to find its form in China, and about the same in Japan. Why would the West be any different? If we patiently trust our masters, then there’s reason to hope all will work out just fine. Actually, not to trust our masters is to lack one of the three “Essentials of Zen” – namely having “a great root of faith.” Without that, no true Zen. Surely when it comes to koan practice this is something worth bearing in mind: each koan is the very heart of the sun: a burning reality with the capacity to vaporize all else, and simultaneously to bring all to “bright and shining” existence, as Yamada Koun Roshi says. But the teaching, the training, is so long, hard, frustrating, humiliating, stubborn, intransigent, that some have been tempted to try to make it easier. But there are struggles that earnest seekers over the millennia have always had to pass through. Again, why should we be different? Impatience is surely understandable, but maybe we can put it on the shelf for a while, and just sit and practice with no mind at all. True kensho, real satori, is an utterly confounding glimpse of reality. As Mumon said, “Mu will astonish the heavens and shake the earth.” Mu is something entirely outside human agency. Yet it is most intimate and intrinsic to who we are. We basically place ourselves at its mercy, and come to accept the extraordinary fact that there is a sisterhood and brotherhood of people who over the millennia have “abandoned the law of the world,” as Dogen put it, in order to devote themselves to this reality “hidden in plain sight.” Why wouldn’t we be thankful for that, and do our utmost to maintain their work, rather than risk diluting or distorting it? Until proven otherwise, it seems to me the greatest privilege and honor and gift is to receive, maintain, join and share the incomparable teachings of our ancestors, masters and forebears, to the best of our ability. Spring Sesshin: We have one full scholarship available for someone who would like to attend the March 27-29 Sesshin but can’t come to do financial contains. We’ve also had a couple of last minute cancellations, so if you’d like to attend, please let us know asap. Click here for registration details. 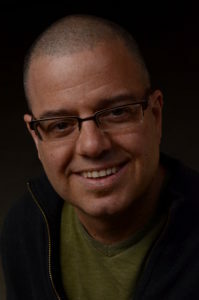 Stephen Batchelor Returns to Mountain Cloud on Thursday April 2nd to offer some teachings on early Buddhism and early Zen history, in collaboration with the center’s guiding teacher Henry Shukman. They plan to explore, among other things, some of the points of contact between Buddhism and the early Greek philosophers. Stay tuned for timing and more details. Samu dates: May 9, June 20, August 8, September 12, November 7. All samu are scheduled for Saturday mornings 10am-noon with optional zazen at 9:30. Image Credit: Between Yin and Yang, by Hartwig HKD, CC BY-ND 2.0. 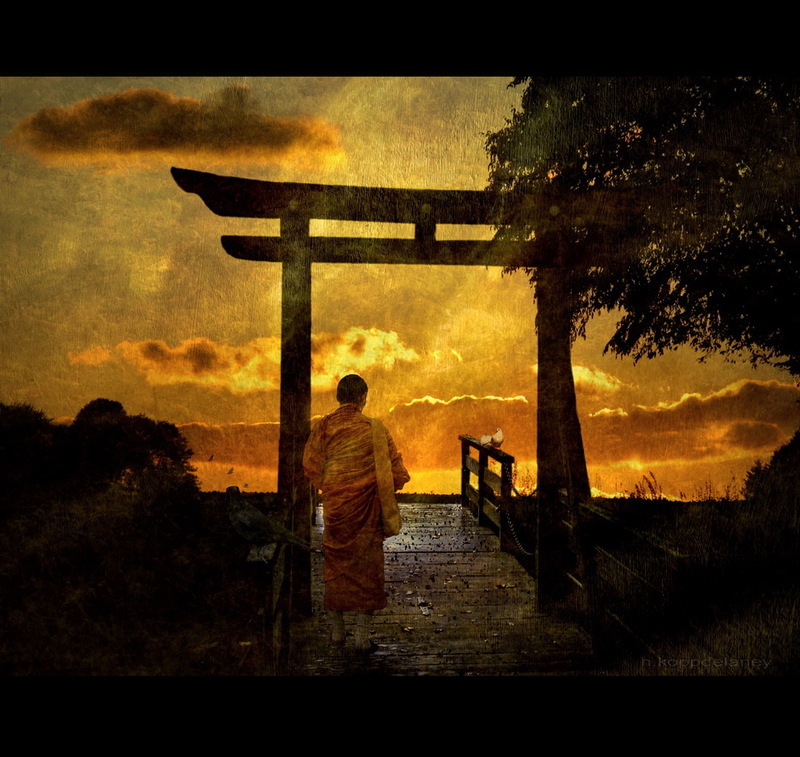 Featured Image Credit: Zen Path, by Hartwig HKD, CC BY-ND 2.0.